September 9: travel by train to Geneva arriving by noon. 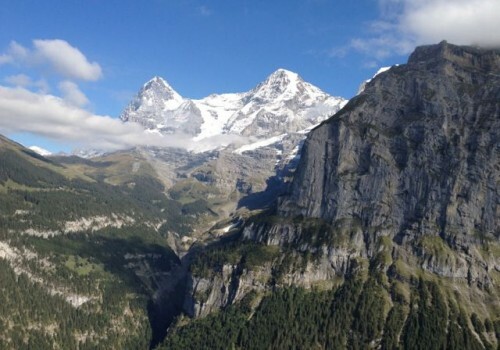 *Dom is the highest mountain located entirely on Swiss territory. The majestic peak is part of the Mischabel Range. It is the third highest in the Alps. Highlights – Saas-Fee: The Mischabel Range in the Pennine Alps with the Dom, Täschhorn, and six other peaks topping 4,000 m (13,123 ft.) surround the village of Saas-Fee. 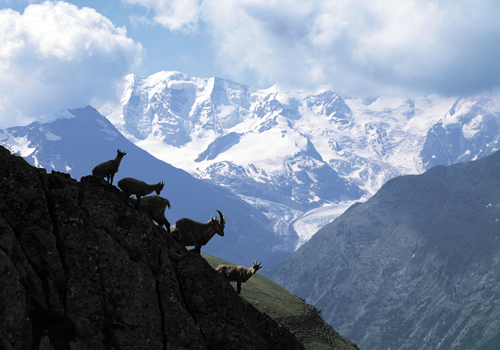 Whether you’re interested in gentle hiking or high altitude alpine treks, Saas-Fee is the answer. 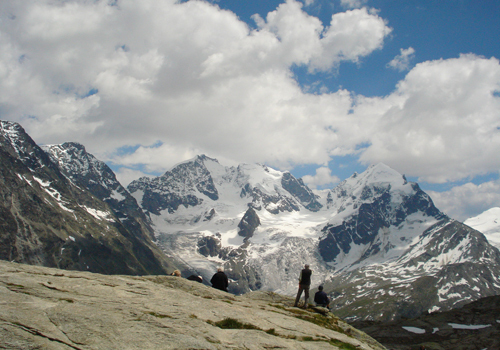 There are 217 miles of trails above the Saas Valley that provide views of 18 impressive 4,000-metre peaks. 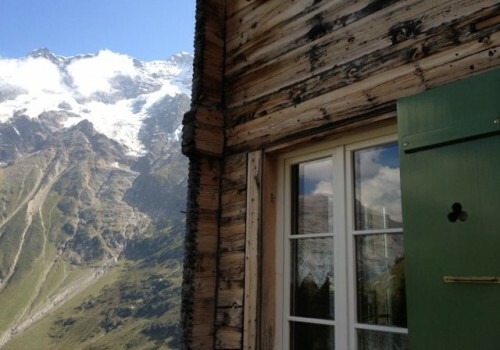 We receive a lot of complements about Hotel Allalin and comments along the line that they had no idea how beautiful Saas Fee is. They also like the pace of the town much more low key than most places. Highlights – Chamonix: Aiguilles des Grands Montets, Mer de Glace, and of course Mont Blanc (4808 meters (15,777 feet) the highest peak in the Alps are must sees when visiting the French Alps. 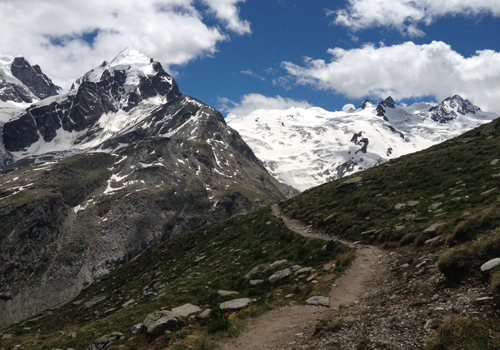 The entire Monte-Blanc-Chamonix area is a highlight with over 300km (186 miles) of hiking trails. 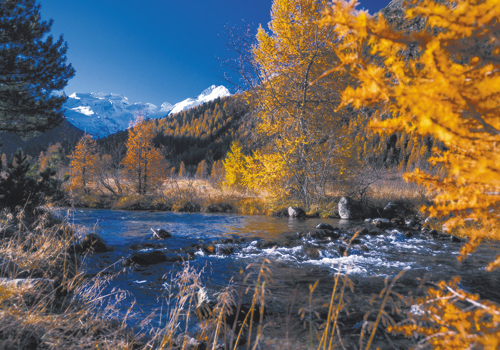 The mountains around Chamonix, a fabulous and fun town, are perfectly shaped to offer high altitude hikes from one end of the valley to the other. The views from the Grand Balcon South trail of the Monte Blanc massif and surrounding peaks truly give perspective of how incredible the Frnch Alps are. Call + 478/714-0829 to book your vacation or for more details.